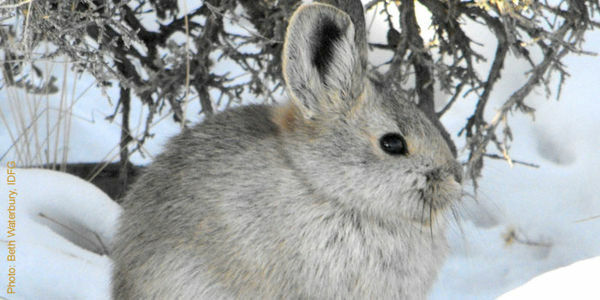 Tell Fish and Wildlife to Protect Neglected Endangered Species Like the Pygmy Rabbit! America's pygmy rabbit is just one of hundreds of species at risk of extinction in the wild — little-known creatures whose fate may be sealed by a lack of attention or federal resources to save them. Unfortunately, not every at-risk species receives the support it needs to escape extinction. Over the next two years, the U.S. Fish and Wildlife Service (FWS) will assess 800 species for inclusion on the endangered species list. The recovery plans for these species call for $1.2 billion dollars per year, but the government is only spending a quarter of this amount. Efforts to save up to 182 species like the pygmy rabbit are dangerously underfunded and fall into the "injurious neglect" group. Most of these are plants, such as several species of Arizona cacti that provide nutrition to desert life and beautify the landscape. Others are fish, reptiles and amphibians that draw less attention. Each of these species are valuable members of our ecosystem — and well worth protecting for future generations. All endangered species deserve the resources they need to survive and recover. Please sign the petition to urge FWS to balance their budget to ensure that ALL endangered species needs get the necessary funds to support recovery. I am concerned that many endangered species aren't getting the funds they need to rebuild their populations. It's no surprise that funding is linked to endangered species recovery. Unfortunately, disproportionate spending is causing many species to fall short of the funding they need to survive. Up to 182 species are dangerously underfunded and fall into the "injurious neglect" group. Most of these are plants, such as several species of Arizona cacti that provide nutrition to desert life and beautify the landscape. Others are fish, reptiles and amphibians that draw less attention, but are nevertheless valuable members of our ecosystem. All endangered species deserve the resources they need to survive and recover. I respectfully urge you to balance your budget to ensure that ALL endangered species needs get the necessary funds to support recovery. Thank you for taking the time to read and consider this petition.